To make it easier to figure out, download our free Time Calculator. 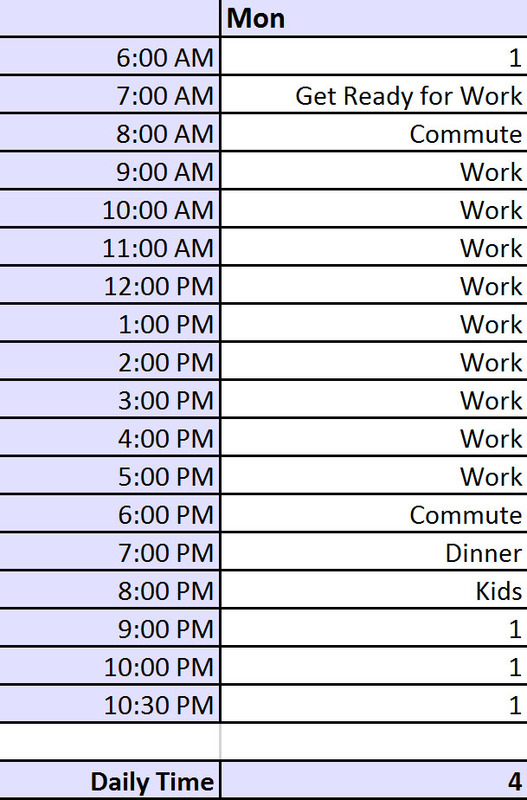 It's a simple, but highly effective, spreadsheet that will reveal the time you actually have to work on things you've been putting off. And it will help you identify the time blocks you can use to your benefit each day. Of course, this calculation is just the first step in getting more done with your time and reaching those big goals you never though you had time for. From here, you'll need to connect that time to the goals you want to achieve, which is what we do in the complete 4X System: Achieve Goals You Never Thought Possible 4X Faster training. You can use the calculator for yourself or share it with your subscribers and customers. It comes with private label rights, which means you can brand it and distribute it. We've included instructions and a copy of this blog post, so you can easily share it with your audience too. This calculator is one of the beginning steps to our 4X System: Achieve Goals You Never Thought Possible 4X Faster subject matter expert training, where we not only show you how to get more done in less time...but we also train you, so that you can teach the method to your own customers. We've created all the training and marketing materials for you. All you have to do is join us for a few training sessions, so you can be the subject matter expert and confidently deliver this high ticket training program to your students.